Ruined holiday compensation claims in Italy: how to claim for refund of your trip. In recent times we have heard about “ruined holiday” compensation claims more than ever. This expression refers to the psychological and physical discomfort experienced after failing to achieve the nice vacation planned (the honeymoon, for instance). More specifically, injury resulting from psychological and mental well-being that the tourist experiences due to failing to fully or partially enjoy his vacation, as opportunity of enjoyment, leisure and relaxation and understood as period of regeneration of one's own mental and physical energies (holiday pay). This matter finds its source of legislation in the Tourism Code that recognizes to the tourist the right to receive compensation for ruined holiday claims, whenever it is the result of the organizer's non-fulfilment. The tourist's expectations are more often disappointed because of lack or inaccuracies of information related to the quality of accommodation, transports and services, which do not correspond to the promised standards when the package travel was purchased (all-inclusive package). In this circumstance, the tourist besides and regardless of requesting for termination of the package travel contract, may claim for compensation of damages for the holiday period needlessly spent and the unrepeatable occasion missed. The ruined holiday claims consist in the incorrect or missed performance of obligations derived from the package travel contract, which legitimises the tourist to claim for compensation of consequential damages. In compliance with the Tourism Code and in accordance with a recent judgement by the Court of Cassation, in relation to ruined holiday compensation claims, in order that the tour operator may be held liable for compensation of damages in favour of the tourist, gravity of injury and seriousness of the damage suffered have to subsist. In any case, the tour operator is also liable for third-party service providers included in the package travel. The tour operator shall also be liable for personal injuries which may be consequent to non-performance or wrong performance of what included in the package travel, as for instance a car accident happened while travelling from one place to another. In these cases of personal injuries, the right for ruined holiday compensation shall be extinguished in three years from the date the tourist returns to the place of departure. The injured tourist has the right to claim for both financial loss and non-material damage. In this latter case, the “stress-related” non-material damage is assumed, since it is inherent to the vacation concept and purposes. For this reason, it is sufficient for the consumer to demonstrate the tour operator non-fulfilment. For practical purposes, the consumer in order to obtain compensation shall forward a claim to contest a breach of contract to the travel agency or tour operator by means of certified letter, fax or other means which may prove evidence of receipt. The claim shall be submitted within ten working days from the date of re-entry to the place of departure. However, failure to submit the claim within the specified deadlines does not undermine the possibility to recourse to the document instituting the proceedings for compensation, but it may be used as basis for an alleged contributory negligence of the injured tourist. This will allow a prompt action by the tour operator/travel agency in order to settle and resolve the disputed matter. 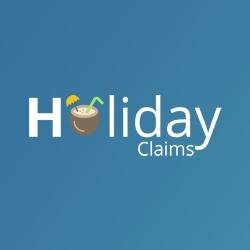 If no response had been received after the claim, or if the claim had a negative result, the consumer may start a formal procedure of compensation for ruined holiday claim. The organizer and the intermediary shall be covered by insurance contract for civil liability in favour of the tourist for damage compensation. Do you wish to receive more information about holiday compensation claims in Italy? Contact us.